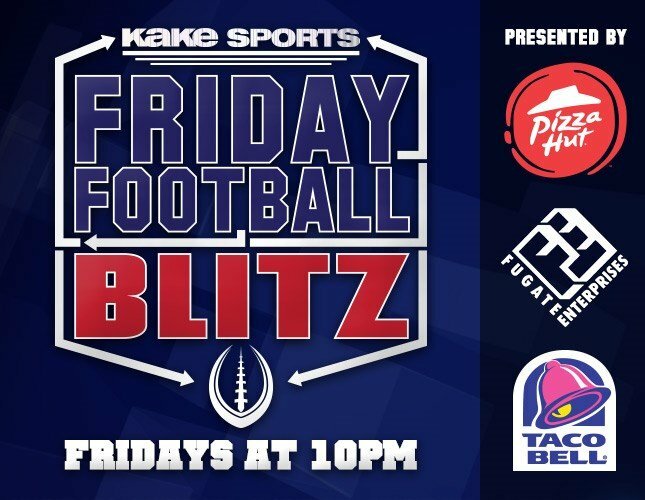 Every Friday night at 10, KAKE Sports Friday Football Blitz delivers YOUR LOCAL TEAMS – YOUR LOCAL SCORES – YOUR LOCAL HIGHLIGHTS! Covering local sports is what we do! Tune in at 10 every Friday night and bookmark this page for the best video, scores and highlights for YOUR TEAM and all local high school football. The high school football season kicked off on Thursday! Kapaun Mt. Carmel beat Southeast 26 to 3 and North beat South 29 to 22, snapping a 21 game losing streak for the Redskins.